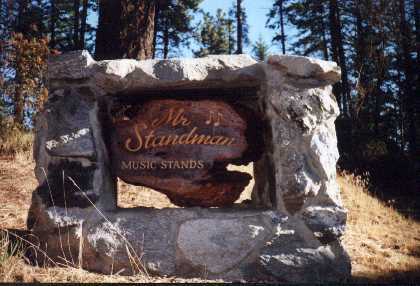 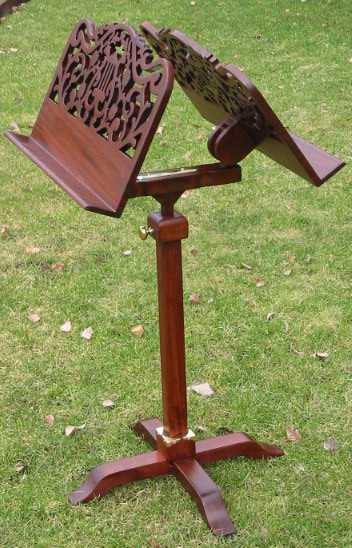 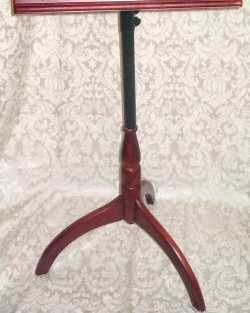 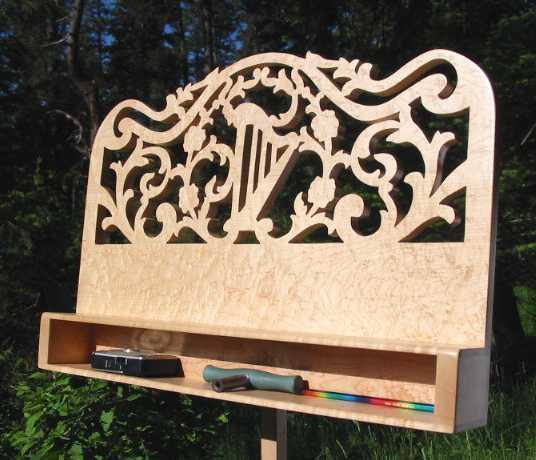 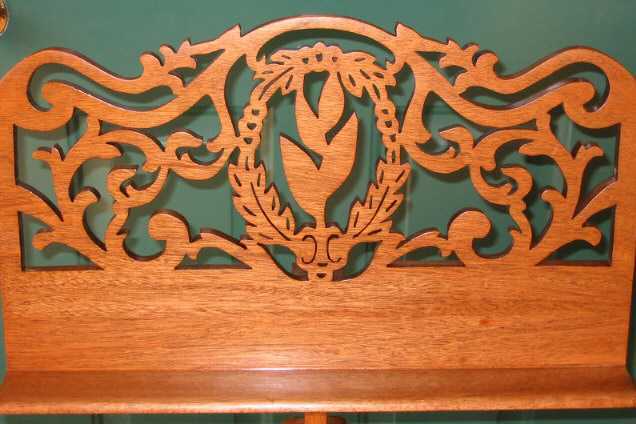 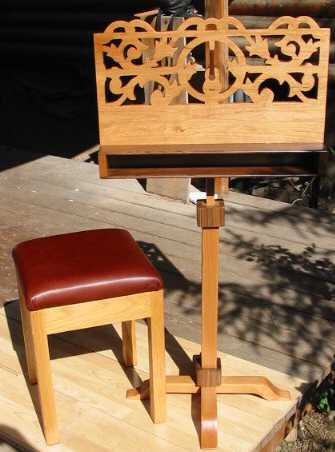 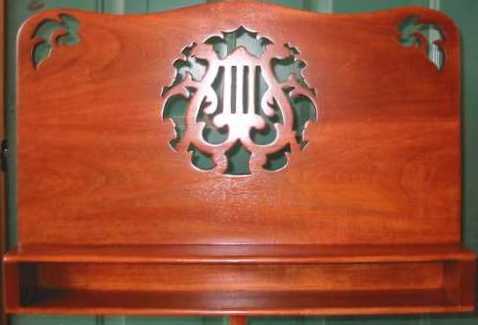 "Click pictures below to find out more information"
Tulip Lyre are the most popular of Mister Standman's music stands. 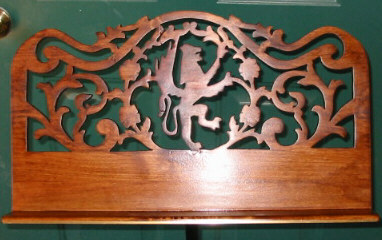 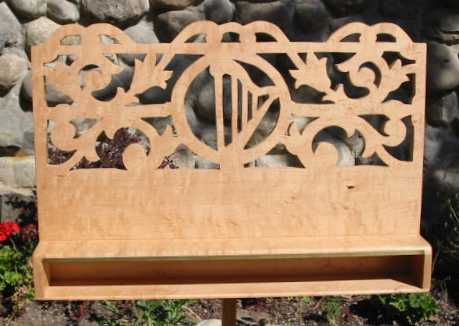 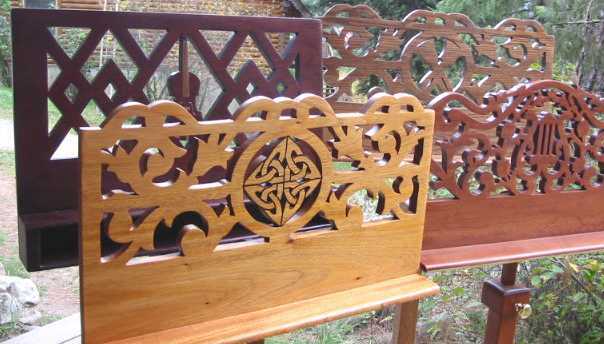 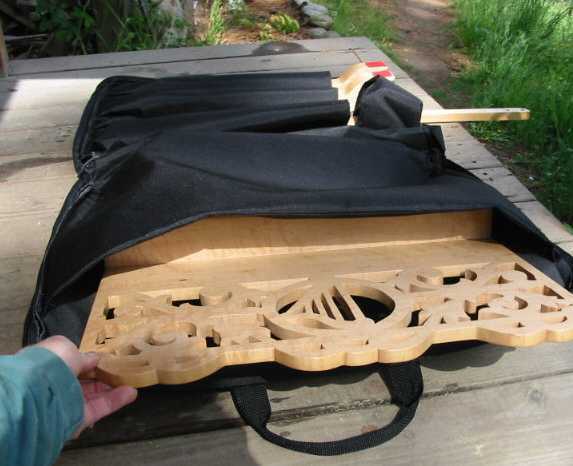 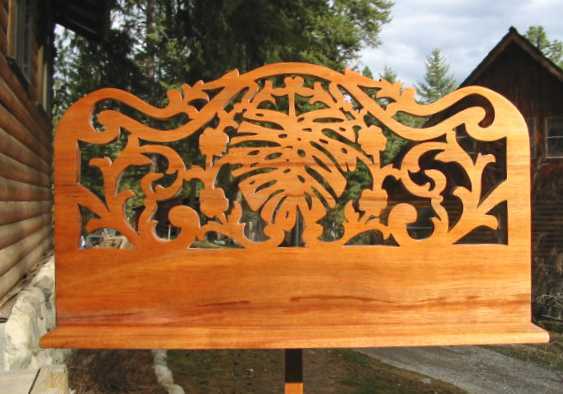 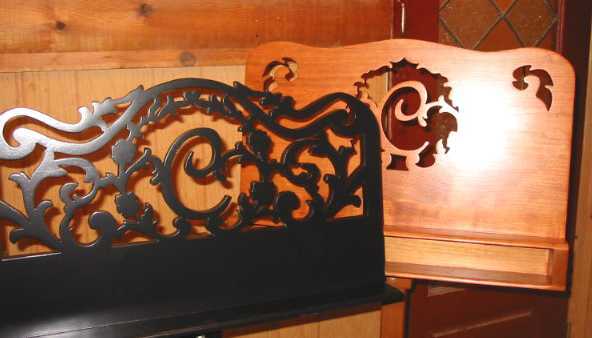 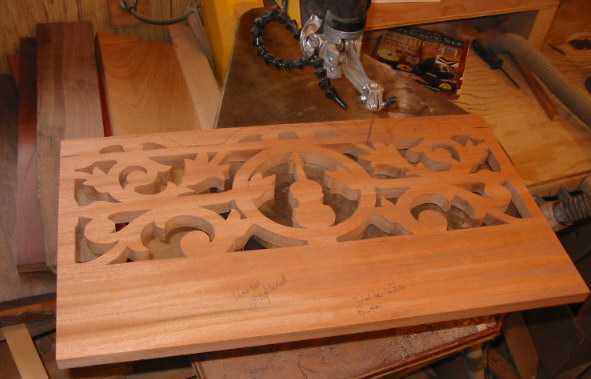 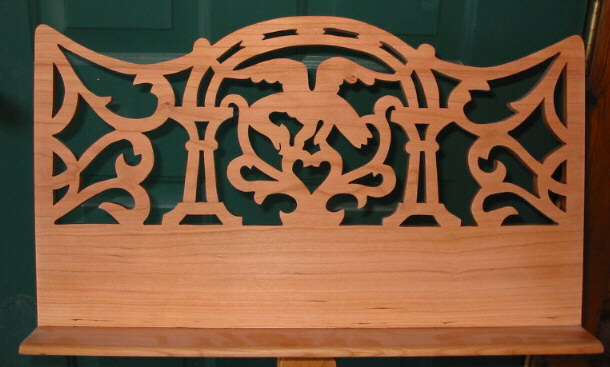 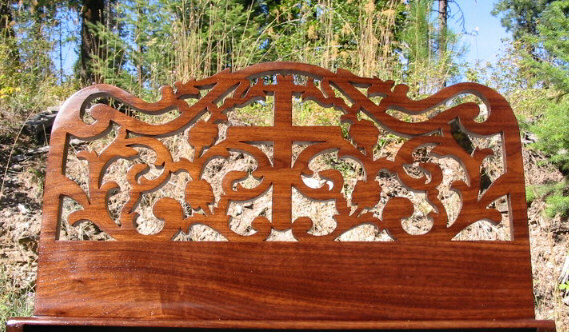 All stands are still produced one cut-out at a time on a 20" scroll saw. 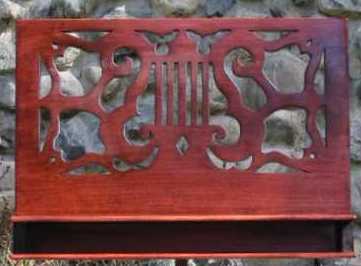 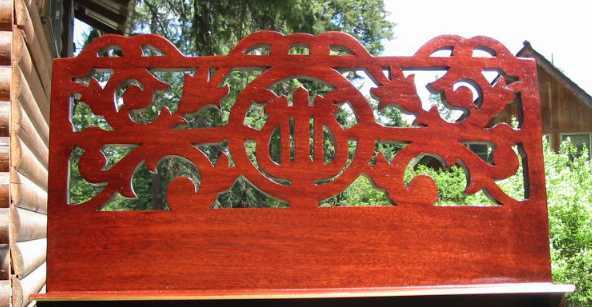 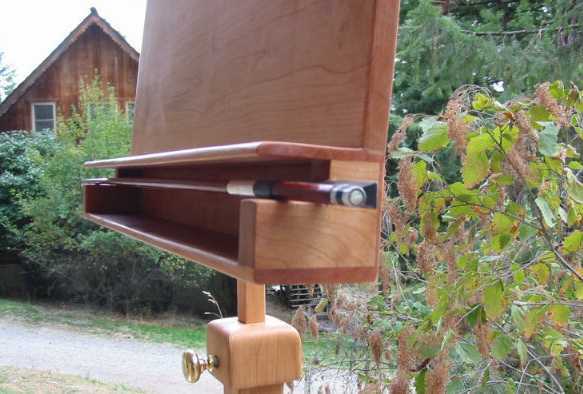 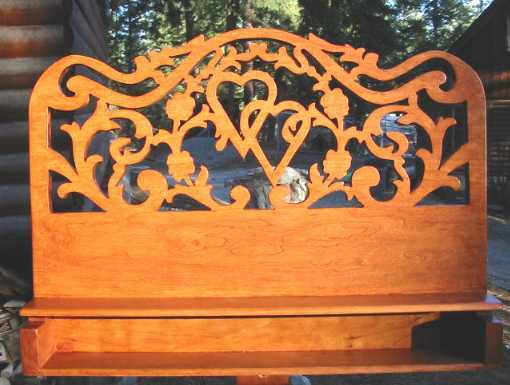 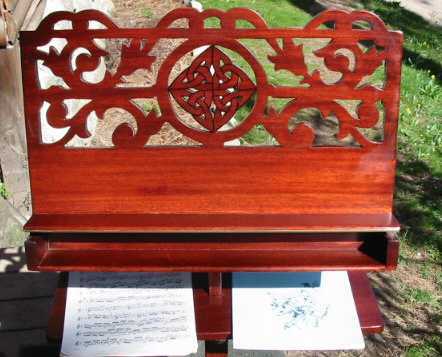 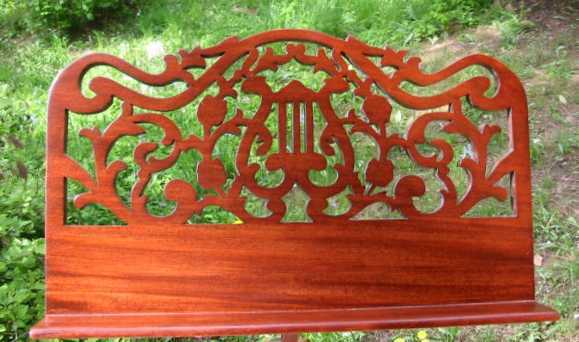 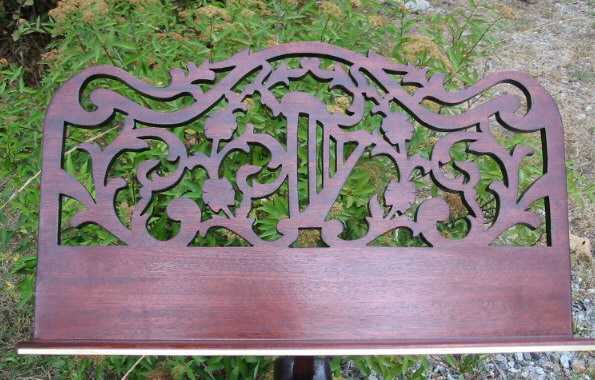 Cherry, Mahogany, or can be stained to best match you instrument furniture. 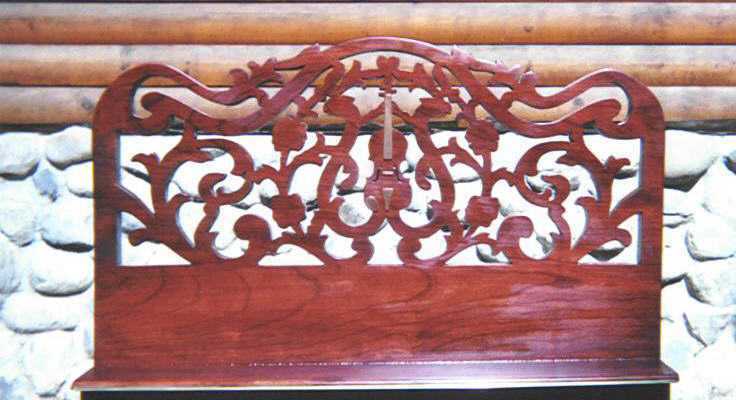 Click here to see wood choices and colors. 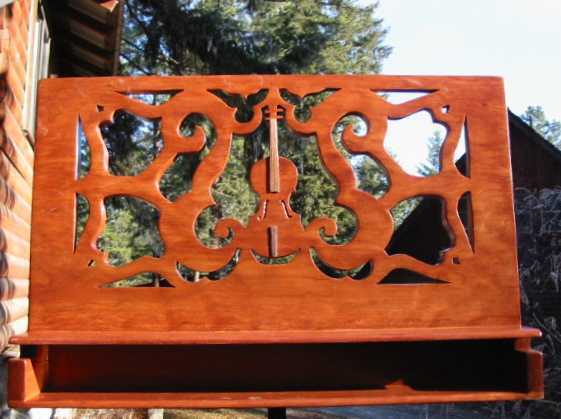 Victorian Lyre with Lyon Victorian Lyre with extra storage shelf. 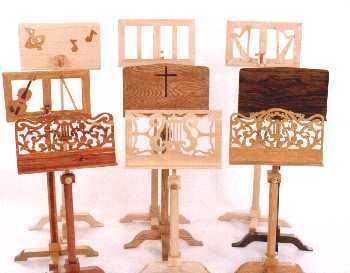 and others like the Harp above and the Violin.